Thread the antenna onto the exposed connector on top of the camera. Warning: Never attempt to power on the camera without an antenna. Doing so may cause permanent damage. Open the camera door, and insert 8 AA batteries. 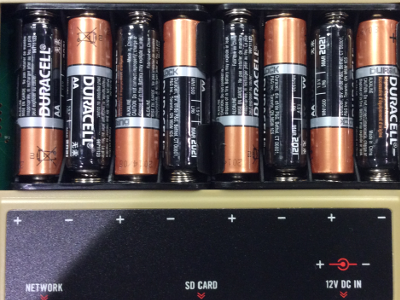 Pay attention to proper battery orientation. Power on the camera. When the camera powers up, it will display its IMEI. You will need the IMEI later when you subscribe for service. When you have written down the IMEI, power off the camera. 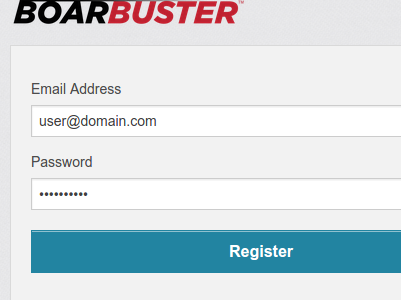 From the registration page create a new account. You will be sent a confirmation request via email. Click the link provided in the email to continue. 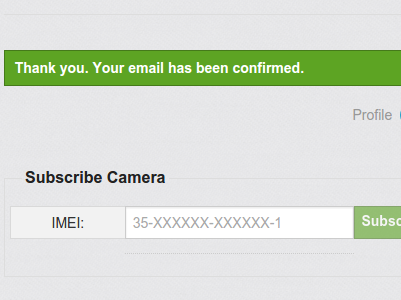 Type your IMEI into the entry box, and click the "Subscribe New Camera" button. A summary of your bill will be shown. Check the checkbox to agree to the terms of service, then click "Subscribe Now". You will be prompted for credit card information at this point. Your camera service is now active. Power on the camera. The LCD will show that the camera is connecting to the network. 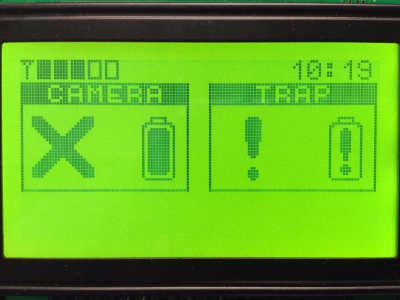 Upon connection, you should see a side by side camera & trap status screen. 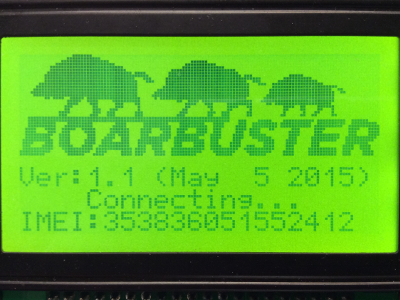 You are ready to view the camera through the BoarBuster service web site. 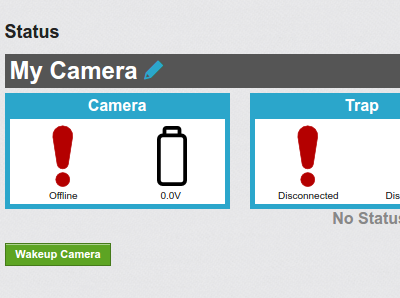 Back in your web browser, click the "Open" button to view your camera status page. 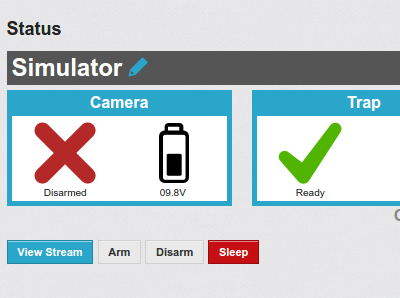 Here you will see status icons similar to what is on the camera LCD. You will also see recent alerts, video recordings, and the last motion triggered photograph. Click the "Wakeup Camera" button to wake up the camera. It will take 30 to 60 seconds for the camera to wakeup and establish a connection. Once online, you will be presented more options. Click the "View Stream" button. 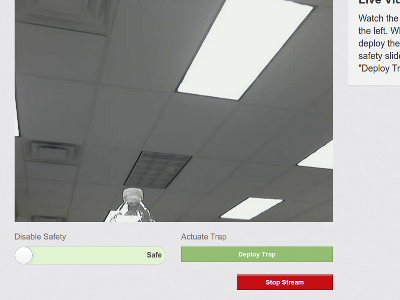 In a few seconds, you should see a live video window. 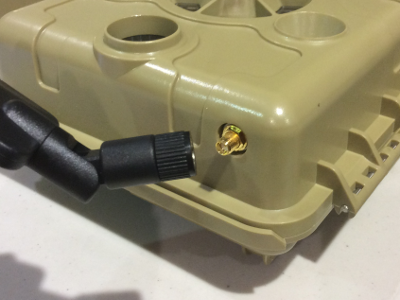 Read more about the camera and trap on the BoarBuster community website.